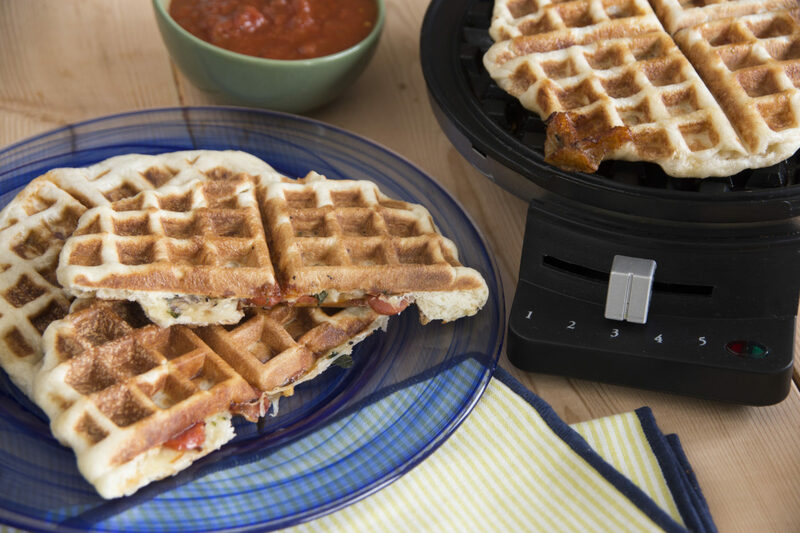 You will be surprised by the big Italian taste in these little waffles! Spray counter lightly with non-stick cooking spray. Flatten each roll into a 5-6 inch circle. In a medium bowl, combine cheeses, basil, oregano, and pepper flakes. Place about 1/3 cup cheese mixture in the middle of 6 of the dough circles. Top with 10-12 pepperoni minis. Brush edges of dough with water. Place remaining 6 dough circles over the cheese filling. Press edges together to seal and place in the center of a waffle iron heated to medium heat. Cook for about 2 minutes. Serve with warm pizza sauce.